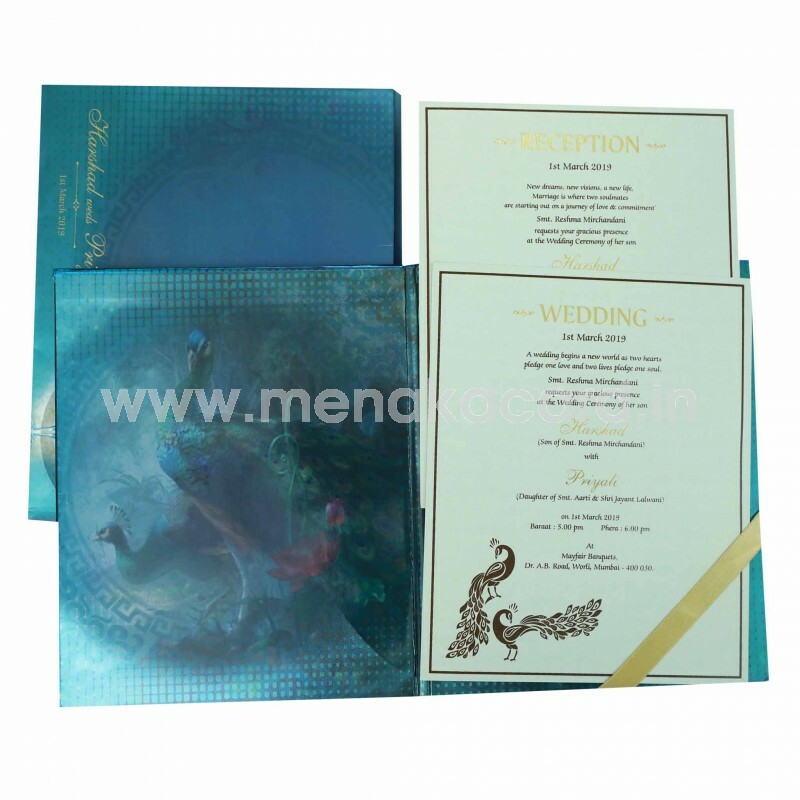 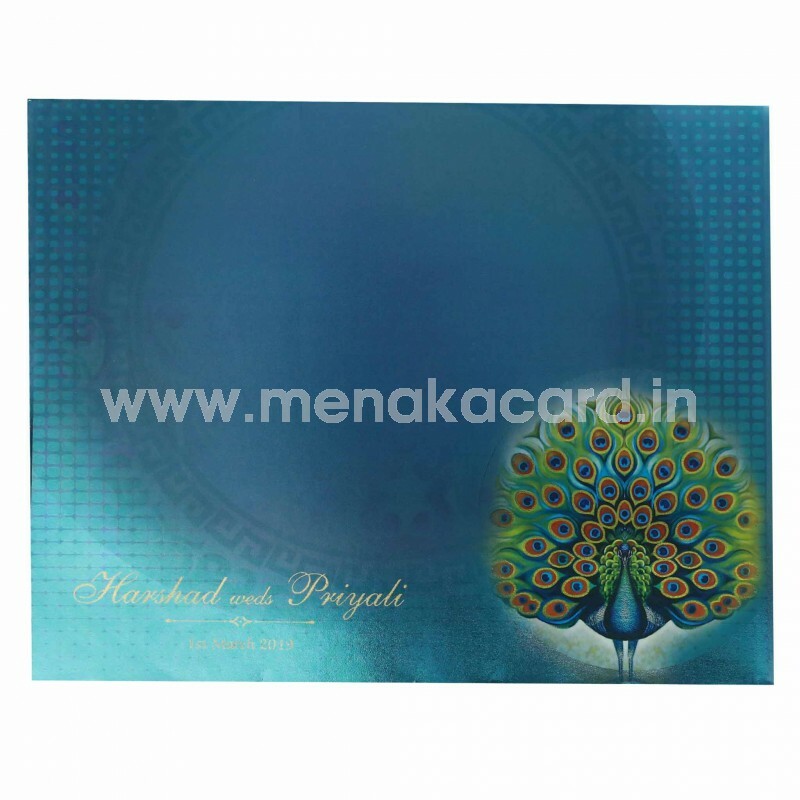 This luxurious padded Multi-color card is a theme based card that has a book fold. 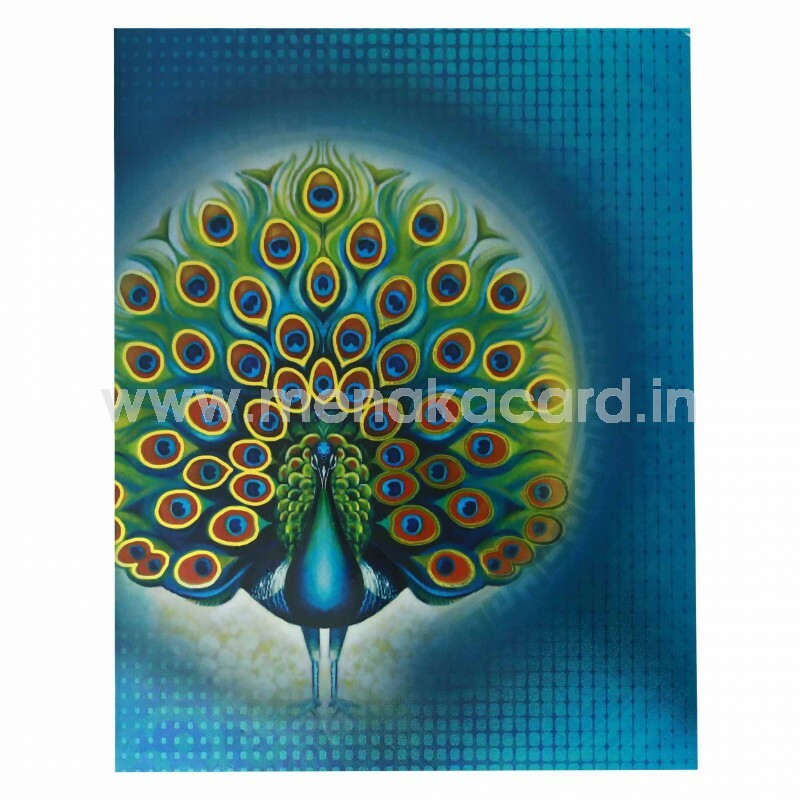 The card is made from a gorgeous shiny multi-colour artboard with a brilliant peacock print on the front highlighted with a rich gold colour in the feathers. The inserts of the card sit in a delicate gold concern sash that holds the two default inserts that are made from a matte finish board for the content on one side printed in gold foil and the reverse containing a photo print matching the digital print on the rest of the card. The insides of the card are also decorated with gorgeous digital prints of the peacock motifs throughout the card. 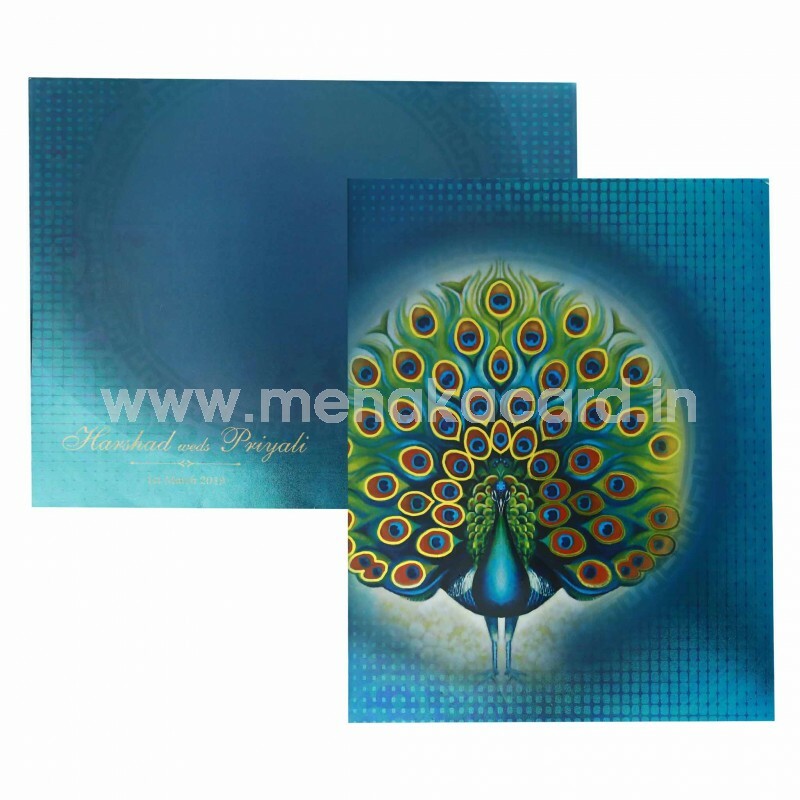 This can be used for Hindu, Muslim and Multi-faith weddings that require grandeur.